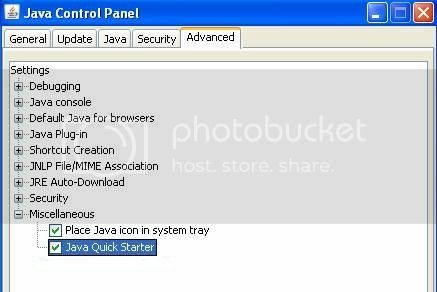 Jqs.exe refers to Java Quick Starter which helps to improve the startup time of Java applets and applications. It consumes hardly 2MB of system memory. Well, if you don’t deal with java often then you can disable this process. Go to Control Panel> Java. Go to the Advanced tab and then under Miscellaneous uncheck java Quick starter. That’s it! The process is now disabled! Looking at the message people often mistake jqs.exe for a virus. Well, if you receive such a then your pc is infected. You need to get rid of Windows Security Suite. How to Remove Windows Security Suite jqs.exe? NOTE: “%UserProfile%” in the above paths should be replaced by your windows user name. You can also try using Combo Fix that can get rid of such malwares.